Nau mai! Haere mai! You’re invited! 20 October is our Annual General Meeting. Te Piki Oranga’s Annual General Meeting (AGM) is fast approaching, scheduled for 20 October. We hope you can come along and join us to summarise the busy year that’s just ended. I wish to thank all those involved with Te Piki Oranga over the past year for their support, skill and innovation. It has taken a broad health community to bring about Te Puna Hauora, a Māori model of health unique to Te Tau Ihu o Te Waka a Maui. Alongside the obvious partners of Iwi, Marae, Māori Women’s Welfare League, Nelson Marlborough Health (NMH), Nelson Bays Primary Health and Marlborough PHO there are a network of community organisations, whānau and individuals who have supported and assisted us on our journey. October also brings the end of our original three-year contract with NMH, our primary funder. From this point forward, our NMH contract is what is known as ’evergreen,’ meaning it will be automatically renewed or rolled over at the end of each contract period. I am delighted to have the confidence and commitment of NMH given all the hard work by the Board and Kaimahi of Te Piki Oranga to earn their trust over the last several years. There has also been no loss of funding to Māori health through the formation Te Piki Oranga. In fact, NMH has increased its funding to Māori health providers in recent years at a level that is greater than the increase they received from Crown funding. We now move into the new financial year with a trusted partnership, dedicated kaimahi, and much work to do! With your basket and my basket, the people will live. This is a whakatauākī that refers to co-operation and the combining of resources to get ahead. Each year 35,000 children aged 12 and under have rotten teeth extracted because of excessive sugary diets, mainly from sugary drinks and other junk foods. For Māori and Pacific Island children this is often made worse because the problem disproportionately affects the disadvantaged. In a recent newspaper article, New Zealand Dental Association spokesman Rob Beaglehole says, "You can clearly map out tooth decay rates with not only ethnicity, but also with postcode, it's a disease of poverty." Beaglehole says sugar is "decimating" teeth in Māori and Pacific Island communities. Decayed teeth are painful for children and costly to fix. "If kids are losing their teeth at a young age they're going to be in pain and they will be suffering for weeks and weeks before they even get to the doctor." Nationally, each year just over 5,000 children aged eight and under received treatment for severe tooth decay using a general anaesthetic, with rates of treatment tripling since 1990. Every treatment under general anaesthetic costs about $4,000. Beaglehole says consumption of sugary drinks is one of the leading causes of tooth decay. Brushing teeth twice a day with fluoridated toothpaste and water will significantly reduce the risk of decay. Teeth will get "hammered" without regular brushing, he says. Te Piki Oranga is tackling this issue by ensuring that every tamariki under five receives a toothbrush and toothpaste as a part of Tamariki Ora. Information and education about good oral health is also a part of every Well Child check, and if whānau are having difficulties getting to their local dental hub for check-ups made through the school holidays then Te Piki Oranga is also able to provide transport support. * A standard 350mm can of fizzy drink can contain as many as 10 teaspoons of sugar, and the same amount of fruit juice can have 12 teaspoons. * New Zealand is the 11th largest consumer of soft drinks, including fizzy carbonated drinks, concentrates such as cordial, juice, sports and energy drinks, bottled waters and ready-to-drink tea and coffee. * Kiwis, on average, consume about 54 kilograms of sugar a year, equivalent to 37 teaspoons of sugar a person every day. While your home WiFi is (hopefully) encrypted and not able to be accessed by anyone else; the WiFi at the coffee shop isn’t. This means you’re at risk of people monitoring your online activity, or worse. your login information for various sites. log into anything that deals with finance, such as your bank or PayPal. type in any passwords if you can get along without doing so. check your bank account - wait until you get home to sort your finances. Need to see if you can pay for your coffee or groceries? Use the data on your phone rather than public WiFi. Better still check your balance at home before you leave or use ATMs. Using the word “password” for your password is the first one most hackers will try. Including a string of special characters and symbols makes it hard for you to remember, and so you might write it down, which then causes a whole lot of security issues depending where you store that written information. What is recommended today is the use of a long but easy to remember phrase. Using ‘horsecarrotsaddlestable’ would take one trillion years for a ‘botnet’ cyber attack to crack, in contrast to ‘P@55w0rd’ which would take one minute. Tikanga Kaitautōhitotanga is the Te Piki Oranga Māori Cultural Competency Framework and is built around Te Ao Māori concepts. The framework is developed to recognise the unique services Te Piki Oranga provide and the cultural skills staff and board members need to have regardless of their role and where they may work within Te Piki Oranga. Professor Mason Durie describes cultural competence as the acquisition of skills to achieve a better understanding of members of other cultures. He notes that the goal of culturally competent care is to improve relationships and thereby achieve “better clinical results”. This means that people are best served by those who are part of or in tune with their culture. Māori culture, like other cultures is dynamic and encompasses a range of preferences and practices. The key to understanding this is to understand significant concepts as well as local or regional variations in Tikanga and cultural protocols. The development of Tikanga Kaitautōhitotanga has come about through a culmination of work of the Te Piki Oranga board and feedback from staff. Te Piki Oranga policies that relate to Māori health, Te Puawai Hauora, He Oranga Māori Best Practice, the Nelson Marlborough Māori Health and Wellness Strategic Framework, the vision for Māori health within Te Piki Oranga and Te Piki Oranga Staff Survey were all reviewed during the development of the framework. Tikanga Kaitautōhitotanga means to be skilled, adept, proficient, wise and specialist in our roles. It embraces Māori tikanga, kawa and values. help to achieve improved health outcomes for whānau. Overall supreme winners ... Waimeha! 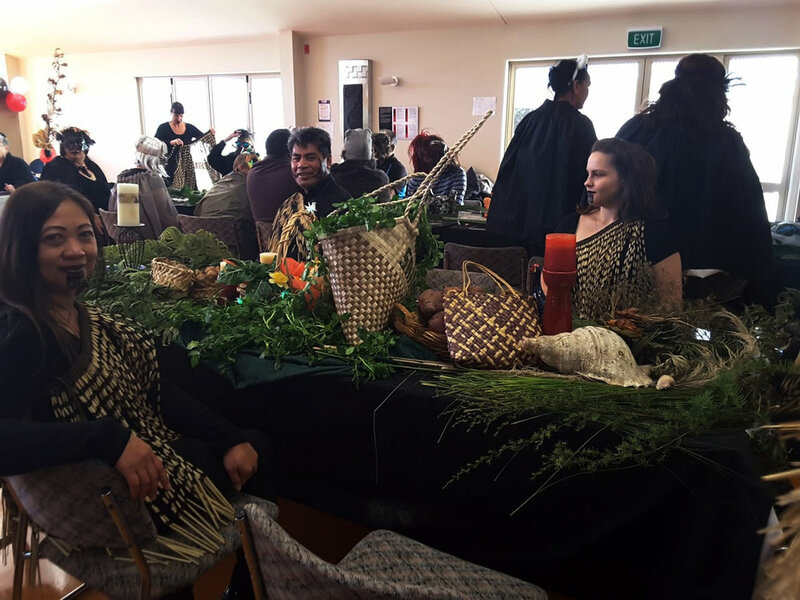 Mātāriki is time of significance for all Māori and so Te Piki Oranga staff decided to celebrate Mātāriki 2017 at Whakatū Marae in Mauri Ora. We were hosted by our Whakatū Rōpū, and the organising committee included Mātua Rangi, Michelle Trow and myself. When we first met, we discussed what our theme should encompass. We started with the story of Mātāriki - the stars, the planets, the harvest and the animals. Then we thought we would like kaimahi participation so we threw down the wero to all the Rōpū. The competition would be threefold; costume, table decoration and performance incorporating the four parts of the Mātāriki story. Motueka were The Stars, Waimeha were The Harvest, Wairau were the Planets and Whakatū were the animals. We invited a panel of Kaumātua to judge, they were Whāea Jane Du Feu, Whāea Peggy Whitton and Matua Mark Davis. Matua Mark also carved a taonga for the Supreme winners which will be competed for annually. There were 1st, 2nd, and 3rd prizes for each category and the overall, supreme winners were…the mighty team from Waimeha!!! 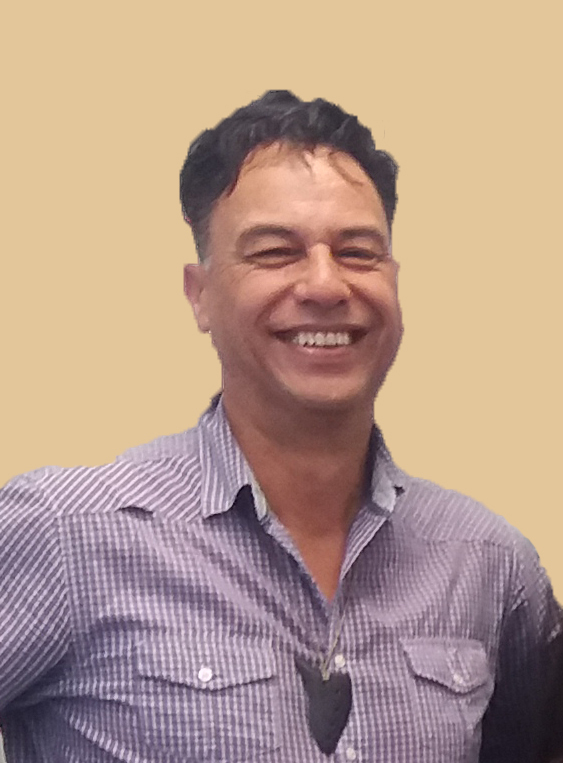 Doctor Rangi Matamua (Tuhoe), is a senior lecturer based in the School of Māori and Pacific Development at Waikato University. He has undertaken significant research in the areas of Maori language revitalisation, Māori culture, Māori astronomy and broadcasting. In his MA thesis Doctor Matamua focused on traditional Tuhoe weaponary, and his PhD examined the role of Māori radio in Māori language revitalisation. I would like to thank Mātua Rangi for his calm leadership of our committee behind the scenes, Michelle Trow for working so hard liaising with various people organising the venue, catering, decorations and supporting the committee. Thanks also to Fay from Nelson Community Arts Centre for the use of the wonderful masks and decorations, and finally thanks to all the Te Piki Oranga kaimahi who joined in and made the day fun, colourful, entertaining and a fabulous celebration of Mātāriki 2017. We also thought that you might find the following Mātāriki kōrero presented by Tākuta Rangi Matamua interesting so click below to watch the video. Whāea Marg Crosby has been doing Noho Pakari / Tu Kaha for for 7 years....and still loves it!! On 19 July Te Piki Oranga Wairau team were invited by Te Runanga o Ngāti Kuia to demonstrate our Noho Pakari Tū Kaha programme to their kaumātua so they could participate and try to do something similar. Our meeting coincided with their three-monthly kaumātua hui. 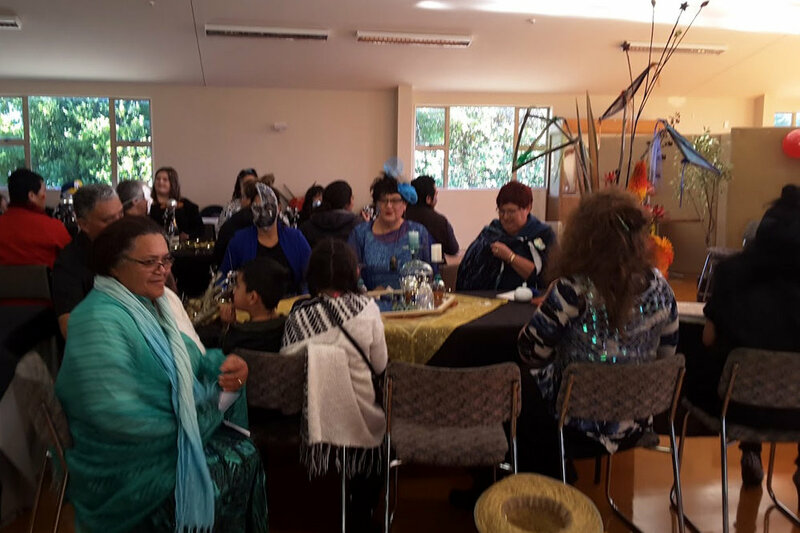 Twenty-eight people from the Waikawa and Wairau hub travelled to Te Hora marae at Canvastown on a bus that Ngāti Kuia provided. On arrival, there was a powhiri with some of our kaumātua involved in the karanga. After morning tea we all joined together in the whare nui, Te Rupe o Ruapaka, and had a fun time exercising, singing waiata, using poi, rākau and laughing. After introductions, we were treated to an amazing hakari, which included tītī, pork, lamb, chicken, raw fish, many vegetables -roasted, boiled and raw, followed by delicious desserts. While we ate we were entertained by Caroline Walker and Sharlene Maniapoto. They were so good, our rōpū felt compelled to get up and kanikani! Ngāti Kuia board members then gave an update of events, future plans, iwi news and other information to their people. A large pakohe taonga was presented to Te Hora marae from a Nelson man who had made it. It was gratefully accepted. It was a wonderful day and the feedback from both our Noho Pakari Tū Kaha group and the Ngāti Kuia whānau was very positive and fun was had by all. The manaakitanga, kindness and warmth of the whānau of Te Hora was outstanding and very much appreciated. Ka mau te wehi! He mihi aroha tēnei ki te hau kainga, ki a Ngāti Kuia – te iwi Pākohe. Ki te maunga a Tūtumāpou, ki te awa Te Hoeiere, ki o koutou taniwha a Kaikai-a-waro, tēnei te mihi atu. He mihi maioha ki te Whare Tīpuna, ki a Te Rupe o Ruapaka, korua ko Te Tangata a Matua Houtere. Koinei te mihi mahana, te mihi manaaki, te mihi o te humarie. Tēnā koutou, tēnā koutou, tēnā koutou. Ahakoa te makariri o te ra, kua hāere te roopu o te Noho Pakari Tū Kaha no Waikawa me Wairau hoki ki Te Hora Marae, nā rātou te karanga hei haere ki te Hui Kaumātua ki rēira. Tata ki te toru tekau o mātou i hāere. I hāere mātou ma runga pahi – na Te Kuia hei whakarite te pahi ma mātou nei. Ā muri te powhiri me te kapu tii, ā, ka timata e mātou katoa te Noho Pakari Tū Kaha. Ko te mea tino hirahira ki au nei, ki te kite ngā rangatahi, ngā pākeke, me ngā kaumātua e korikori tinana ana, kia whakapakari ai i a rātou tinana i roto i te kotahitanga. Ki te kite te whanaungātanga kei roto i a Te Rupe a Ruapaka. Ki te rongo ki ngā tangata e kōrerotia e pa ana ki a rātou whakapapa, i a rātou tuhonohono tētahi ki tētahi. Me ngā katakata – Ki au nei, koina te ahua reka o te mahi nei – koina te hauora! Tā mātou nei waimarie ki te noho tahi ki rēira, kai ai – rawe te kai – pēra i te kai o te Kirihimete – aue ka puta a pito! Heoi ano, hūnene ana te kai ki ōku paparinga!! Ano hoki, tā mātou nei waimarie – i te wā kai, ka waiata a Cazzy T me ana taputapu puoro – tumeke ki te rongo ki ngā waiata o nehe ra – ngā waiata kanikani. Katahi ano, ka tu mātou ki te kanikani!! I kōrerohia te Tumuaki me ngā rangatira o Ngāti Kuia e pa ana ki a rātou whainga mo te iwi me nga nekehanga mo ngā marama me ngā tau kei te heke mai. He rawe – koina te hauora! I rēira mātou mo te kōrero me te tukuna mai o te koha Pounamu, mai tētahi tangata ki Te Hora Marae. Ano hoki – kōina tā mātou nei waimarie. Ko te tuhonohono nei – koina te hauora! He ra ataahua, he ra pai – te makariri?? – Hei aha tēna!! Nā te mahana o te whare, te mahana o ngā tangata – kua whiti te ra kei roto i taku manawa. Nō rēira, Ngāti Kuia – tēna koutou. Te Whānau o Noho Pakari Tū Kaha, kōinei te mihi – tēnā koutou, tēnā koutou, tēnā koutou katoa. You might think hearing loss only happens when you’re old. Not true! It can strike at any time and any age, even childhood. For the young, even a mild or moderate case of hearing loss could bring difficulty learning, developing speech and building the important interpersonal skills necessary to foster self-esteem and succeed in school and life. diminished psychological and overall health. Recently we held our first collaborative hearing screening clinic with Life Unlimited Charitable Trust at Motueka for whānau who were 16 years or older. Our TPO nurses completed the preparation and planning. On the day of the clinic, the Trust’s Kim Howell completed hearing screenings for all whānau there. We had a full day of assessments and are looking forward to another clinic in six weeks. What can you do to minimise hearing loss? There are some easy things you can do for yourself and your whānau. Wear ear protection around any loud noises. Support your whānau to have their hearing tested regularly during their other annual check-ups. The TPO team at Motueka can help schedule an ear examination to check general ear health and look for excess wax that needs to be removed prior to the hearing test (ph: 03 5281155). For members of your whānau who have hearing loss, be sure to check the date on smoke alarms to ensure they are not past the expiry date. Replace any expired batteries to ensure alarms will work in the event of a fire. We were also pleased to assist Aunty Norah Bradley with the installation of a shaker alarm. The alarm is great for those who have difficulty hearing smoke alarms and it has a shaker that is activated under your pillow when there is an emergency. ‘Better late than never’, is a phrase that has new meaning for 82-year-old Kaumatua Andy Joseph these days. Tasked with opening a recent cancer awareness campaign for Māori, Matua Andy had no idea an information hui would lead him to specialist treatment for prostate issues that same week. Matua Andy Joseph with TPO RN Alice Chisnall-Kalouniviti at the Cancer Kōrero. I met Simon after he came to Te Piki Oranga asking if he could have some more nicotine replacement patches. He had received some patches from nurses at TPO’s Health Promotion Day in August 2016 and he felt that they worked well. Unfortunately, he had started smoking again after his mother passed away. When I took his first breath/carbon monoxide reading it was 10ppm which was quite high. So, we set his quit date for 19 May of this year when he knew his last lot of cigarette rolls would run out. We met every week face to face while he was going through the transition, which he said he enjoyed. I’m pleased to say that Simon hasn’t had a single puff since he quit, and his readings dropped to 2ppm dramatically over the next 4 weeks. He decided to celebrate his success by going out to lunch. Simon’s success becomes my success, not just personally but through everyone that we are associated with on our journey, our organisation, our whanau, our community, our country Aotearoa. Smokefree Aotearoa 2025 is getting closer – let’s see if we can achieve this together. Ko Tākitimu rāua ko Kurahaupō ōku waka. Ko Moumoukai rāua ko Ruahine ōku Maunga. Ko Nuhaka rāua ko Manawatu ōku awa. Ko Tamatea Arikinui rāua ko Rangiwhakaewa ōku Tangata. Ko Manu Tai rāua ko Makirikiri ōku marae. Ko Ngāti Kahungunu ki Wairoa rāua ko Rangitane Tamakinui a Rua ōku iwi. Ko Ngāti Rākaipaaka rāua ko Rangiwhakaewa ōku hapū. Engari, I tupu ake au I Tamakimakaurau. Ko Brian Smith rāua ko Huiarangi Paewai ōku matua. Ko Huiarangi Niki Waitai taku ingoa. I have recently moved from Australia’s Gold Coast after 17 years, to Blenheim, with my husband Kawana and small whānau. We have come home to set up a life for ourselves, to teach our children to know and understand their Māori heritage, their roots and all the experiences that come with that. Two of our tamariki will be in school this year and one off to kindergarten. I was seeking part time employment and found an advertisement for a part time cadetship that included study in business administration and technology with Te Piki Oranga. I fell immediately in love with this role. I have done reception roles before but this one really appeals to me, being involved in Māori health and working in a whānau based workplace. Since I have arrived in New Zealand a short six months ago I have been made to feel really welcome. 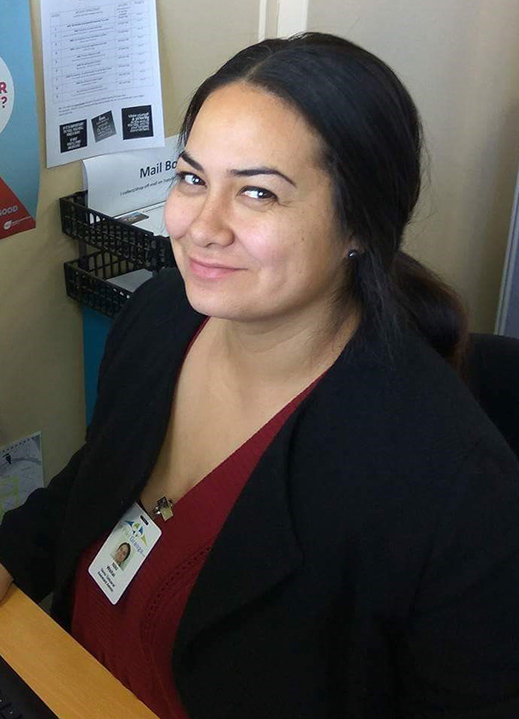 Studying part time and working part time is a breeze when you work in a supportive whānau based organisation like Te Piki Oranga. My colleagues are my whānau away from whānau. Ko Piripiri te Maunga, Ko Waitohi te Awa, Ko Tokomaru te Waka, Ko Waikawa te Marae, Ko Te Whiti o Rongomai te Tangata, Te Atiawa te Iwi, Ko Ngāti Te Whiti te Hapu, ko Amo Love tōku whāea. Ko Pukehāpopo te Maunga, Ko Te Waiomoko te Awa, Ko Tereanini te Waka, Ko Whāngara mai Tawhiti te Marae, Ko Paikea te Tangata, Ko Ngāti Konohi te Iwi, Ko Karaitiana Poki tōku pāpā. Ko au he uri o ēna tāonga, Ko Sharlene Maniapoto tōku ingoa. Having returned home to Marlborough after 10 years working in Brisbane, I have been absolutely fortunate to become a team member with Te Piki Oranga as a Pūkenga Manaaki in April. The privilege to work with and amongst our whānau is highly rewarding and challenging. I am loving every minute of this and I am grateful that the time away from Aotearoa has given me a new appreciation of our beautiful whenua, beautiful whānau and beautiful culture. In particular, being involved in Noho Pakari/Tu Kaha is my honour and to see whānau achieve things they never thought they could is very rewarding. Prior to moving to Brisbane, I mostly worked in the Education Industry, becoming the owner/Manager of Werohia Development Limited – a Māori Private Training Establishment who delivered training programmes in Waikawa, Wairau, Whakatu, Motueka, Hokitika, Greymouth and Westport. Werohia Development offered free government funded training and also contracted to deliver programmes on behalf of Te Wānanga o Aotearoa and Te Tairawhiti Polytechnic. Local work involved working with NMIT, the secondary schools in Marlborough and the bilingual unit at Waikawa School. My years in Brisbane saw me Managing a Service and distribution centre for Pepsico Ltd. This kept me working with Māori and Pacific Island whānau as 80% of our team were of these origins. I studied at Te Wānanga o Raukawa gaining a Diploma in Māori and Management, with two papers left to gain my Masters Degree in Māori and Management. Matiu and I have 4 children; Te Mauri, Ngahuia, Kirione and Taiarahia with five mokopuna: Rereahu, Nahkai, Paikea, Iharaira and Tamaikoha – all of whom still live in Brisbane, with moko number six on its way, due in 2018. No rēira, he mihi maioha tēnei ki a koutou, tēnā koutou, tēnā koutou, tēnā koutou katoa.